Harnessing older sounds into something that sounds modern, the Cheetah EP transforms grotesque synth into something that sounds human. 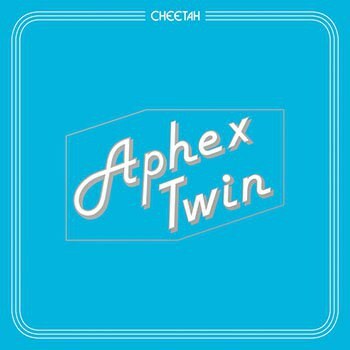 Aphex Twin (the alias of Richard D James) is a genius of drum programming and tone colour, and he’s made some of the most evocative albums ever. His best albums of the 1990s harnessed the available technologies into music that gets better with age (rather than ever sounds dated). And what’s most surprising is that he’s been so unanimously accepted into the rock[-based] canon. Perhaps it’s because the drum programming of stuff like “4” and “Windowlicker” hits harder than the drums of rock stuff, or perhaps it’s because his music isn’t as repetitious as electronic music is often criticized of being; instead, it's constantly in [slow] flux. It could also be because the classical music Aphex Twin enjoys—such as Erik Satie and John Cage—are the classical composers that rock-based listeners also gravitate towards. Also, his music is, by turns, warm, humorous, detached, and beautiful. To say that he differs from other electronic artists because his music is emotional is a disservice; he differs from all music, electronic or otherwise, for that same reason. The Cheetah EP announces its intentions with its '70s-looking cover and font, as well as its title of an infamously difficult to play and grotesque-sounding synth. Naturally, that description probably appealed to him, as the sequence finds him harnessing older sounds into something that sounds modern and transforming a grotesque synth into something that sounds human. I, for one, am happy to receive the two short 30-second tracks in the middle, which speak to all of that I just wrote about: “CHEETA1b ms800”, for example, finds itself alone in deep, uncomfortable space before the rising synth at the end pops up like the sun. Other details that stick out are the contrast between the legato synth melody and the staccato bass on “CIRKLON3 [ Колхозная mix]”, not to mention the counterpoint between the three voices on “CIRKLON 1” (one pointillist synth in the high-end, one in the low end, and one sustained synth adding colour). There's also the thick drum smacks of closer “2X202-ST5” and how invigorating every drum-roll is, to say nothing of the bass-line there. There's not a single weak track, so the bottom line is that if there’s been a better EP released this year, I haven’t heard it. But feel free to recommend me one.